Contact us for other shipping options for small parts or if you are in need of a fastener or replacement part that you do not see on this page. The SS-100 is used to mount lens plates to spotting scopes or telescopes. This is a replacement combination head (5/32 hex/slotted) 1/4"-20 captive screw for our P-5 camera body plate. 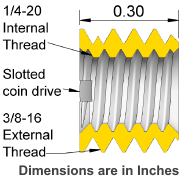 It may be driven with a hex key or if necesary, a smaller coin. This fastener will not function on our lens plates. Stop Screw for lens plates, replacement feet, and camera body plate. 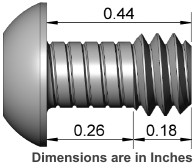 Mounting screws fit our replacement feet. For replacement feet recommendations, please visit the replacement feet page. 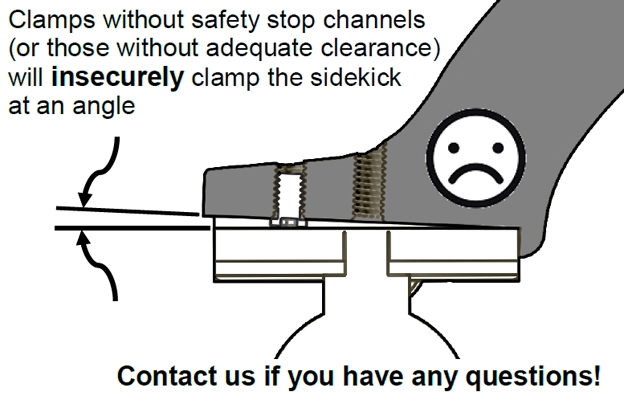 The Sidekick stop screw is compatible with all Wimberley Ballhead Clamps and other third party clamps with safety stop channels. 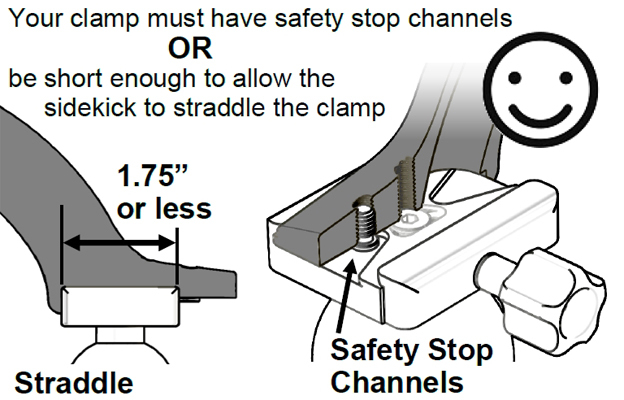 It is also compatible with shorter clamps which can be straddled by the sidekick. Please see the ballhead clamp compatibility chart below. Note that this is not an exhaustive list as many clamps have not been tested. 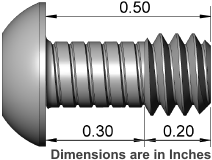 If you do not see your ballhead on the list, please use the illustrations above to determine if the screw will function properly in your application. 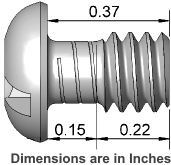 This screw allows you to use one of the 1/4"-20 threaded holes in the sidekick as a safety stop. This was included in all Sidekicks manufactured from the Spring of 2017 until May 2018 when the sidekick was enhanced to include a built-in anodized dovetail plate with integrated safety stop. It is available for those who wish to equip their earlier year sidekick with a safety stop. Please check the compatibility chart below to see what ball heads work natively.